Fresh from degrees in physics and theology, Jeff began a career in television production in 1973, working principally in the New York City performing arts community. Teaming up with his wife Celia Ipiotis, in 1981 they founded and produced the long running public television series Eye On Dance & the Arts. His own video work has been seen at Lincoln Center in New York, and at theaters and festivals around the world. He was business manager of the Jose Limon Dance Company, a world recognized modern dance company until 1988, when he joined Full House Productions as managing partner. In 2004 Jeff became involved in the rapidly expanding virtual world “Second Life”, and almost immediately began promoting business applications in this exciting new venue. Jeff is currently the CEO of Beta Technologies US Inc., headquartered in New York (NY). 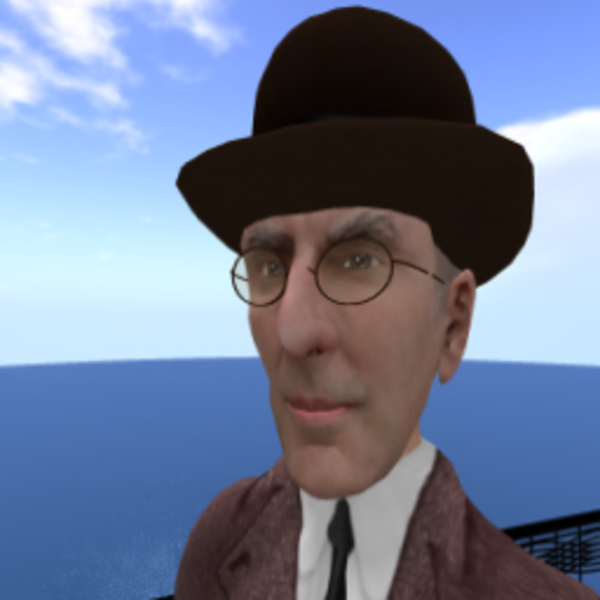 In Second Life, he uses his own name as his avatar name.